Summertime is almost here! Horray! My kids have 1, and 2 days of school left, respectively, and they are jumping for joy! 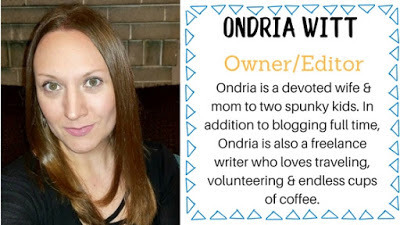 We're certainly ready for a little break, and I am stocking up on cool activities and fun educational products to help us make it through the summer months. My kids love anything hands-on and jump at any chance they get to create & discover. Mythical Slyme is magical, mythical fun for all! One of my 7-year-old son's favorite school subjects this year has been history. He's no stranger to mythology but loved being reintroduced to it in his classroom this year, and rediscovering mythological creatures, and the like. We also love visiting our state Renaissance Festival every year and seeing everything from fairies and jesters to knights in shining armor. B has his own favorite mythical creatures, and Baby S is discovering that she has a favorite, too! Both kiddos are highly interested in unicorns & their magical rainbow everything. 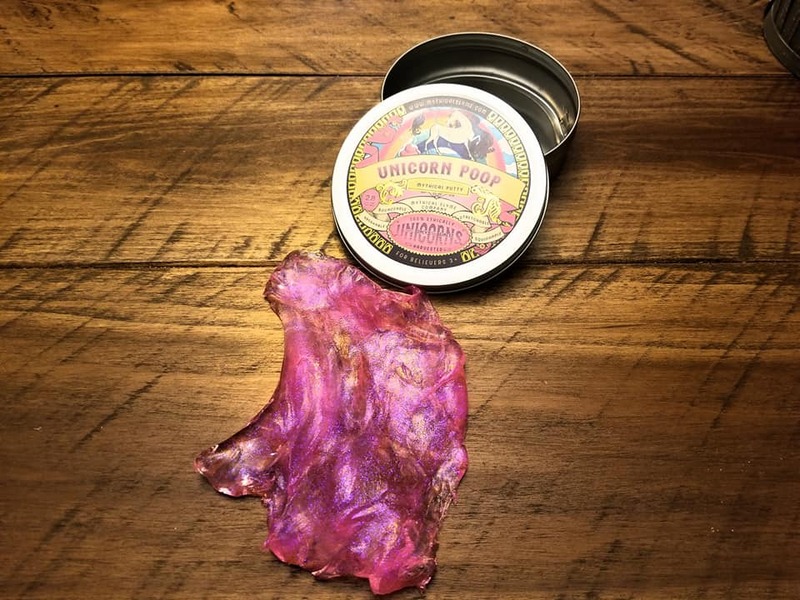 Pinterest seems to be dominated by unicorn recipes & activities, so when we had the opportunity to check out (get this-) Unicorn themed slime, we quickly said a big 'yes!'. Have you ever wondered what Unicorn Poop looks like? 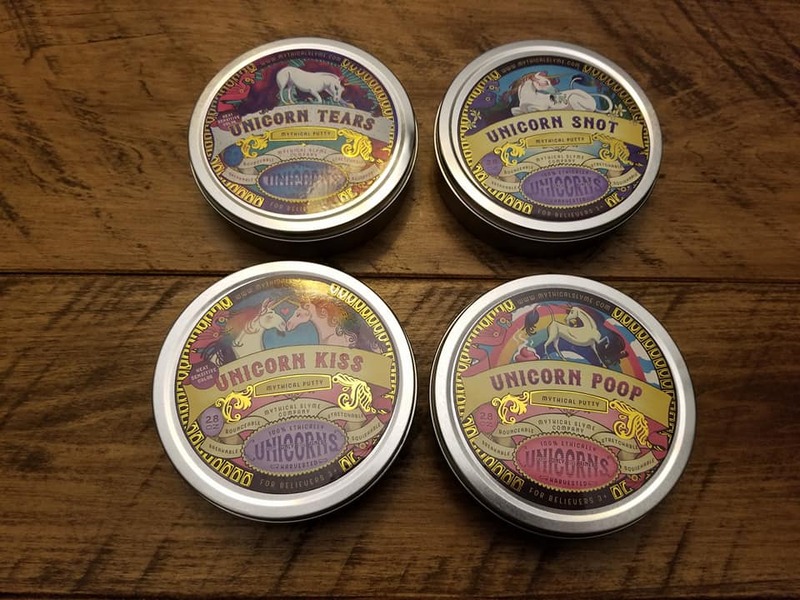 Ever curious, we were interested to see what in the world Unicorn poop, snot, tears & kisses looked and felt like. Mythical Slyme gives fanatics & believers the chance to make their own discoveries & get a little hands-on time with these unique slimes & putties. Each tin of Mythical Slyme is beautifully packaged. The slime/putty comes in a corresponding tin, and is sealed in plastic. You will open each plastic package for super fresh slime. No two slimes look or feel the same, as we were quick to discover. B loves to create his own slime, but I honestly dislike all of the ingredients needed, and the mess-making involved. Mythical Slyme gives us unique, sparkly, squishy slime and putty to play with right away, and is virtually mess-free. Unicorn Poop is quite pretty! B wanted to check out the Unicorn Poop first, so we did. It's light pink in color and has tiny little pink sparkles throughout. It almost feels like jelly and is lots of fun to squish and play with. Unicorn Tears are so beautiful! 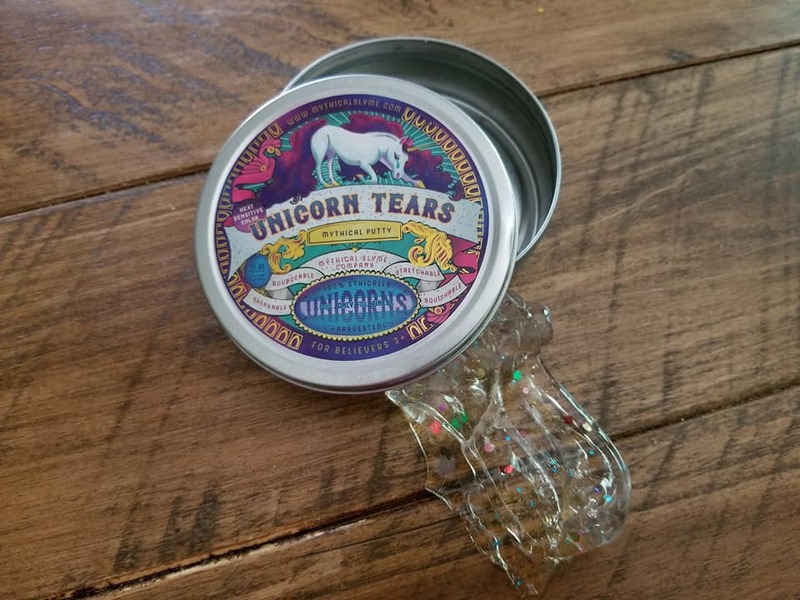 Unicorn Tears are clear, with beautiful colored sparkles and confetti pieces throughout. This is a pretty squishy slime, and lots of fun to play with! 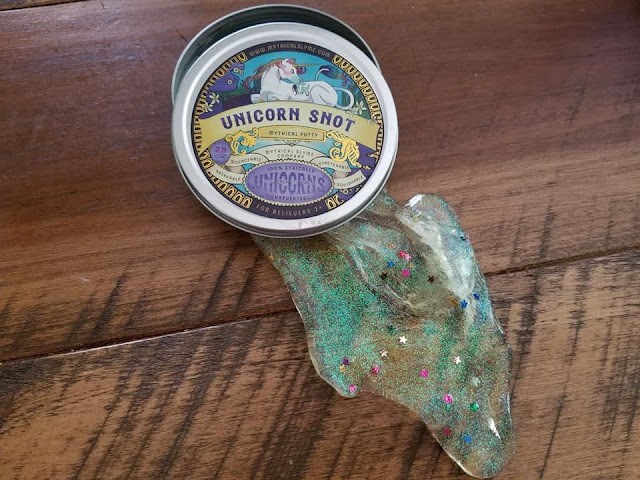 Unicorn Snot- so, so magical! 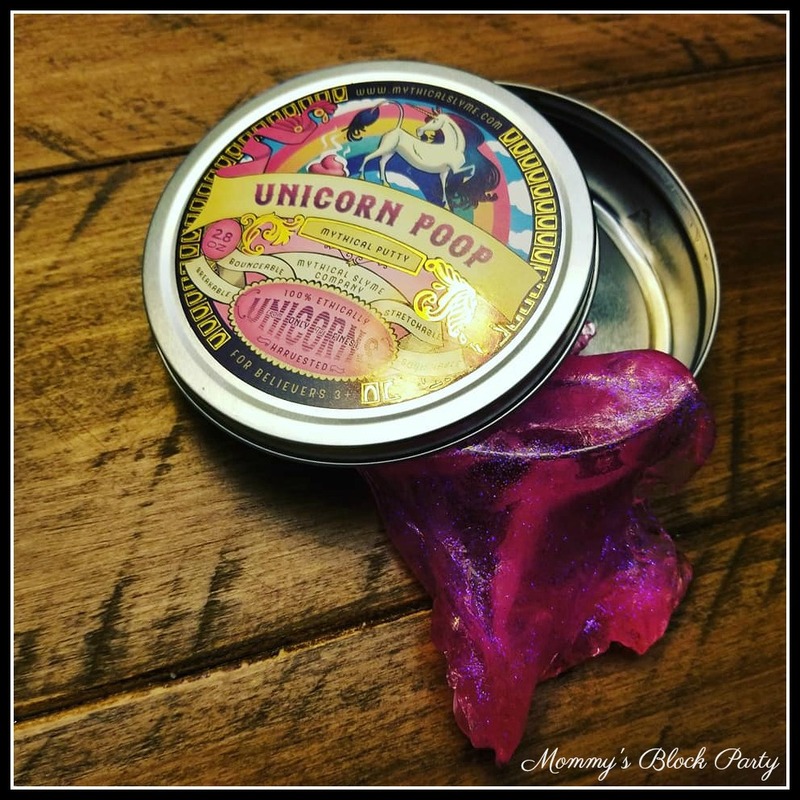 It just sort of figures that as a mom, I'd be in love with Unicorn Snot. I am basically a human snot rag, anyway. My kids are constantly wiping their noses on me when they're sick (thanks to endless mama snuggles and cuddles), so this is truly fitting. I love the Unicorn Snot! It's clear, but it has the prettiest green sparkles, with colored stars throughout! I may never look at snot the same way again. This sticky stuff is gooey, and pretty much resembles the real thing. I would know, right? Feel like you're about to be licked by a unicorn? Unicorn Kiss is stretchy, bouncy fun! This is probably everyone's favorite because it's like a putty. It stretches and pulls like taffy, breaks off in little wisps, bounces, and more! My kids really like this stuff. It's almost nostalgic for me because it reminds me of a certain putty my sister and I used to play with when we were kids. We loved pressing it into the Saturday morning comics from the newspaper! Unicorn Kiss is a lot prettier than plain old putty, and it's definitely more fun to play with, too. Which of these pretty slimes do you think your kids would like? 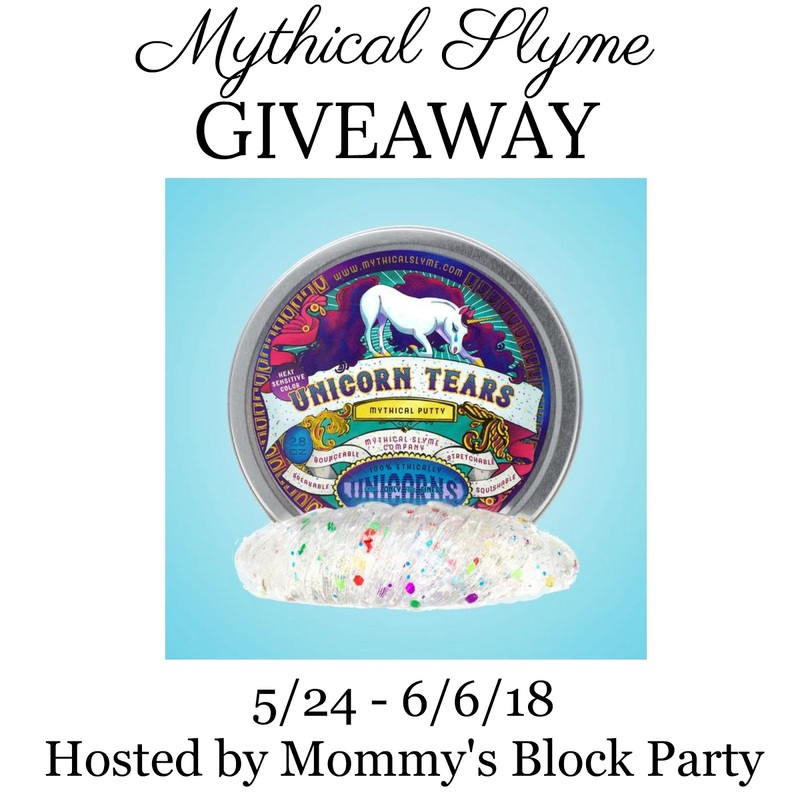 You'll have a chance to enter to win a tin of Mythical Slyme of choice below! 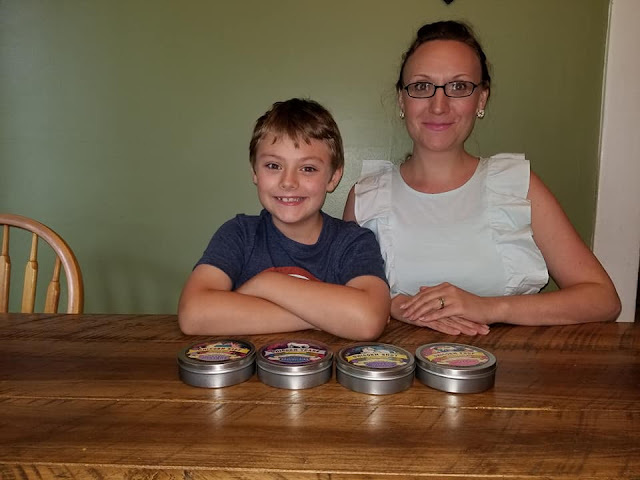 This isn't your average slime, though- it's beautiful, mess-free, fun to play with, and it's great for kids and adults who like to fidget. 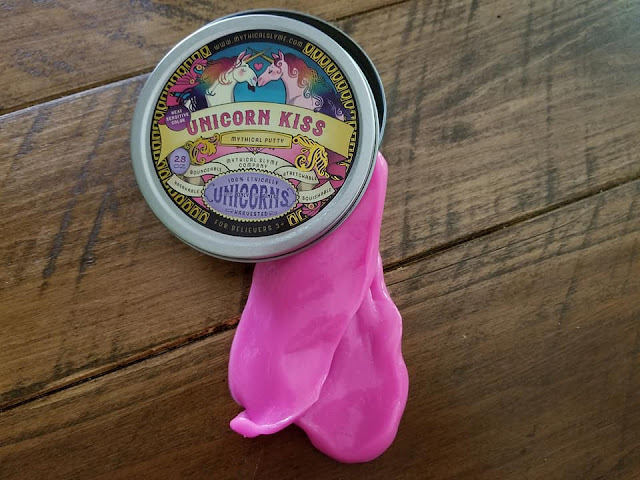 If you're a nail-tapper like I am, just squeezing the Unicorn Kiss putty is a great way to relieve stress! This is the perfect hands-on activity to beat summer boredom, to engage younger kids in sensory play, which is oh, so important for their development, etc. Head on over to Mythical Slyme to check out all of their cool, beautiful, and 'gross' slimes and putties. Connect with Mythical Slyme on Facebook, Twitter, Pinterest & IG. One lucky reader will win 1 tin of slyme (winner may choose) from Mythical Slyme. Just use the handy RC entry form below to enter for your chance to win. Thanks to our friends at Mythical Slyme for allowing me to share about their amazing Unicorn Slyme, and for offering this awesome giveaway for our readers. I would actually choose the unicorn tears. I think it's gorgeous and it also looks fun to play with. We like the Unicorn Tears! I think the Unicorn tears are very pretty my daughter would love any of it though. I would choose the Unicorn Tears! My 9 year old would love these!! She would probably pick the tears or poop. My niece would love the unicorn tears! I will go with Unicorn Poop.